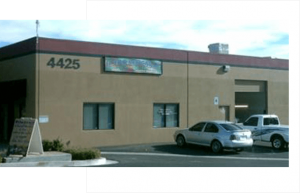 Majestic Cabinets – Kitchen Cabinets For Sale is a family owned business which has been servicing the Las Vegas Area since 2004. We endeavor to conduct our business with the highest level of integrity for our consumers and associates. We design unique kitchens offering our clientele many options to create a “one of a kind” kitchen to suit individual tastes and needs. Our commitment to Quality and Ultimate Customer Service has earned us the fine reputation that we now enjoy today. We appreciate your interest and look forward to earning your business. Fine cabinetry and quality workmanship at affordable prices is what we are all about, So, before you complete your task of getting bids and estimates, give us a call at 702.457.1158. We design to completion providing a great experience that will give you years of pleasure and pride every time you open a Cabinet Door. At Majestic Cabinets – Las Vegas we guarantee every aspect of your Cabinet project. Our Custom Cabinet Designers will work with you and your ideas to ensure your Cabinets including Hardware, Doors, Faces, are exactly what you want. Your Custom Cabinetry will be built to your specifications in our local Las Vegas Cabinet Factory. Angel started Majestic Cabinets so he could bring quality cabinetry to Las Vegas. Angel is proud to have a business in Las Vegas and maintain a great reputation in the business community. Many customers ask questions about the process of getting Custom Cabinets or Refinished Cabinets. We can answer those! We want you to feel comfortable with the process leading up to the beautiful final results Majestic Cabinets will give you. Sometimes after your Majestic Cabinets are finished you can over time notice some wear on those high traffic used cabinets where those special snacks are kept. It’s always a good idea to take care of those cabinets sooner than later and we will help you take care of that. We have all of our business and contractor licenses so you know we give the best quality cabinets in Las Vegas at Majestic Cabinets. Limited liability Company classified as Residential & Small Commercial and Finish Carpentry.